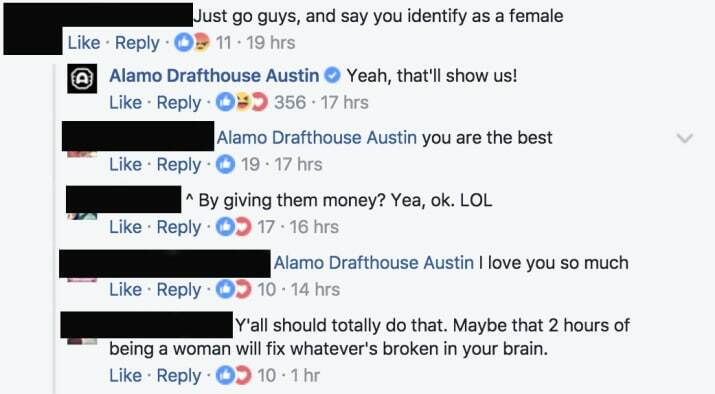 In anticipation of the release of Wonder Woman, the Austin Alamo Drafthouse instated a woman-only screening of the film. "Apologies, gentlemen, but we're embracing our girl power and saying 'No Guys Allowed' for one special night at the Alamo Ritz," the announcement said. "And when we say 'People Who Identify As Women Only,' we mean it. Everyone working at this screening -- venue staff, projectionist, and culinary team -- will be female." Despite the criticism, the idea was a hit; it sold out almost instantly, and the Alamo added a second woman-only screening. 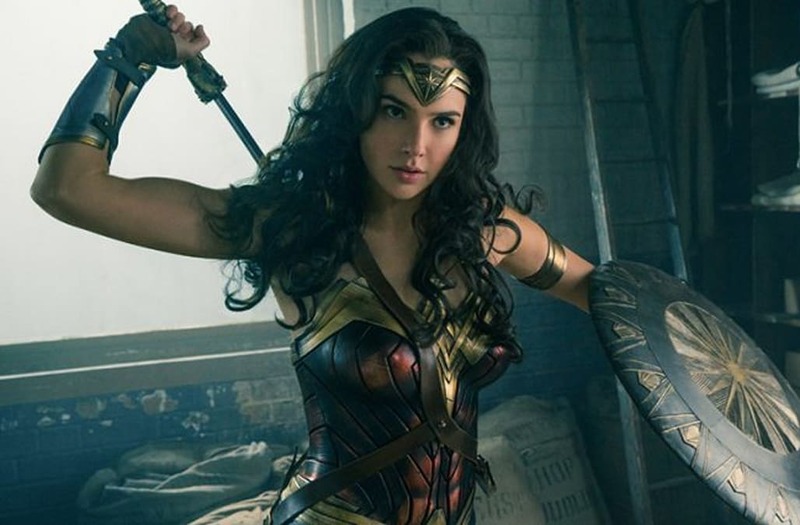 We are very excited to present select, women-only Wonder Woman screenings at Alamo Drafthouse. That providing an experience where women truly reign supreme has incurred the wrath of trolls only serves to deepen our belief that we're doing something right. As a result, we will be expanding this program across the country and inviting women everywhere to join us as we celebrate this iconic superheroine in our theaters. Alamo plans on expanding woman-only screenings to their other theaters.